Why do you have so much stuff on your table? 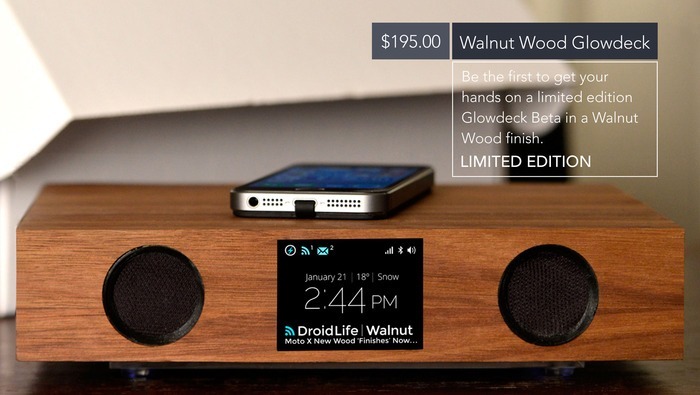 What if there was only one thing that could charge your phone, play music, tell you the time, and do a bunch of other stuff? That would be cool, but there isn't. 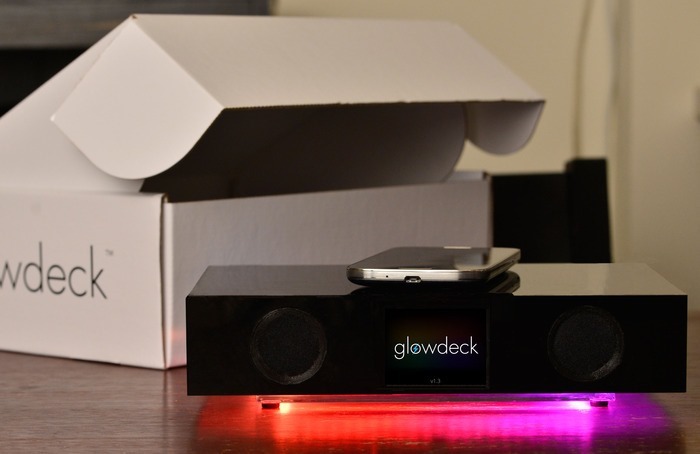 There will be soon, though, now that Glowdeck has hit its Kickstarter goal. Just set your phone on the Glowdeck, and the magic happens (allegedly). 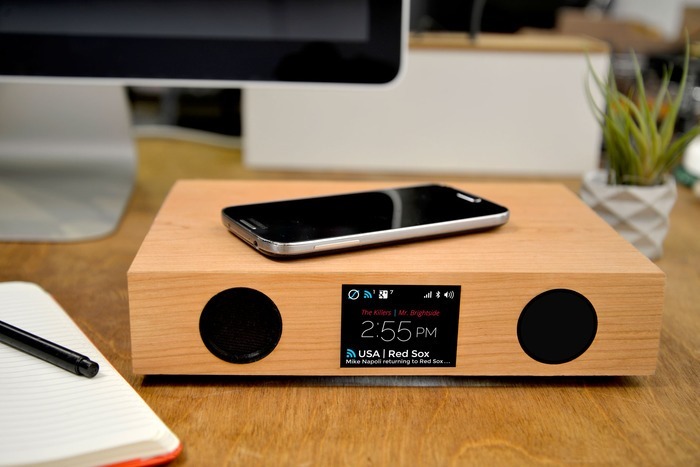 The top of the Glowdeck contains a wireless charger compatible with any Qi-enabled device. 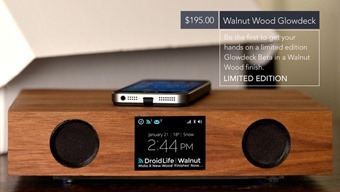 There is also Bluetooth 4.0 audio for devices to stream tunes, place calls, and listen for voice commands. On the front are stereo speakers and a small LCD screen which displays notifications and a variety of content called Streams. The feeds that appear on the display can be controlled from the Glowdeck app and include things like Twitter, weather, news, and email. Of course, the name Glowdeck implies there is glowing. 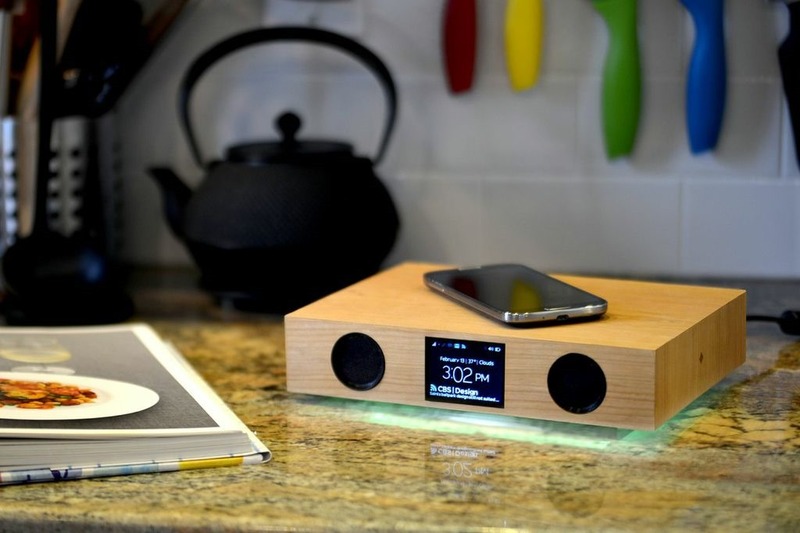 Indeed, there are LEDs built into the base that sync with the music and generally look neat. Interestingly, there is no mention of NFC built-in, which would be cool for automatic pairing. You can probably just slap an NFC sticker on it though. 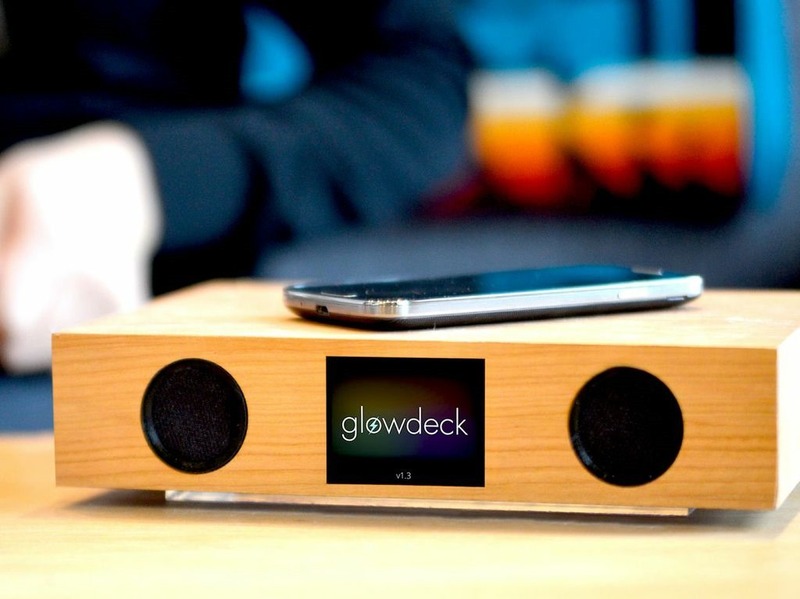 The Glowdeck will come in a variety of wood finishes or acrylic. 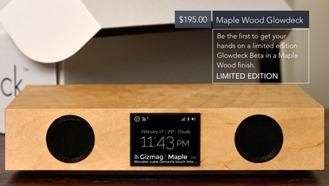 The minimum pledge to get the full device is $180 for a black acrylic version. The campaign is already well past its goal of $30,000, so this is happening. The video also seems to show some functional prototypes, so this project is further along than many Kickstarter campaigns. 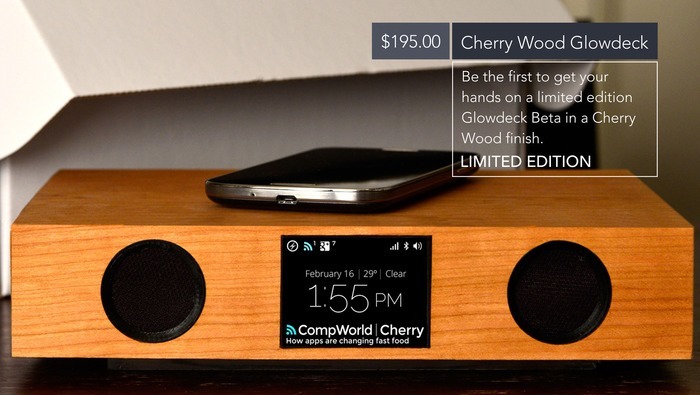 The Glowdeck is supposed to be delivered in August.